LOL! Brilliant! I had one of those on my dining table today yelling 'TUMBLE' in my ear and not listening one bit when I tried to tell her I had no clout with the BBC and am not personal buddies with Justin Fletcher so could not get him on the bliddy telly any quicker! And no she could not go on my pc to watch him after she deleted 3 months worth of photos from my files the other day! ARRRGH! Love your pic. Thanks for sharing. He he he...not had one of these on my desk yet! They wouldn't dare!!! Hope you haven't had too much squashed stash! LOVE it! How funny - they do learn drama so quickly, huh!! Would love to be athletic enough to stand on my table! 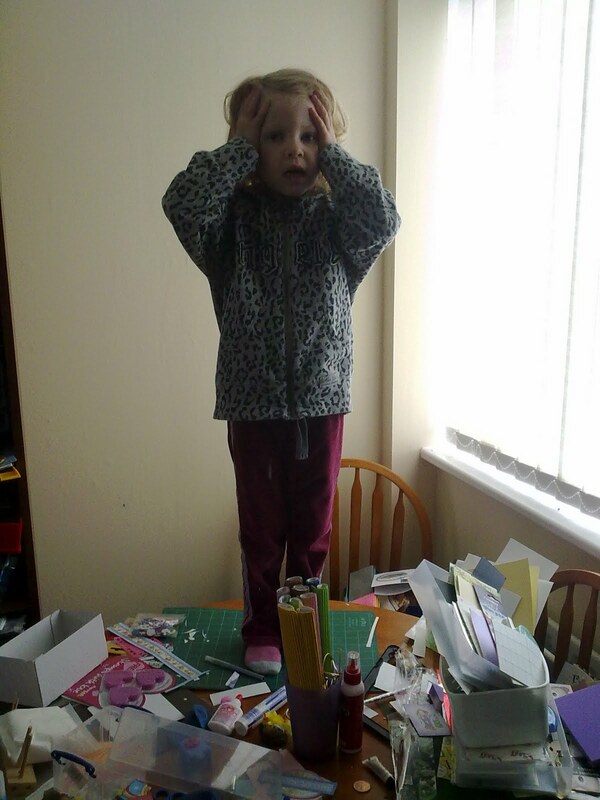 Thankfully mine are all grown up now, but they never climbed on the table...well....not when I was looking! !